In her memoir of her father, Inspector Arthur Smith, Diana Pearson Vale recalls one Bottesford man who went away to war. ‘ In an intensely patriotic Britain men were persuaded to do their loyal duty and join up. The Smith family had personal experience of a soldier marching off to war as a healthy, strapping young man, only to return a mere spectre of his former self. Ethel (Smith) had been courting Harold Hallam, who worked as a carrier or chauffeur and possibly helped out in his families’ butcher’s shop, so naturally much consternation ensued when his call-up papers arrived. …Harold left the village in a patriotic spirit to “do his duty”. Some time later news came through that he had been wounded …. Harold’s return to Bottesford was eagerly awaited. One day the news came. Harold was back. But was it really “their” Harold? The family, expecting to greet the big, robust Harold they remembered, had a great shock when confronted by a frail, weak man wearing hospital blues, a uniform for convalescent servicemen consisting of blue flannel jacket and trousers, white shirt, red tie, and the patient’s own regimental cap, walking shakily with the aid of two sticks. 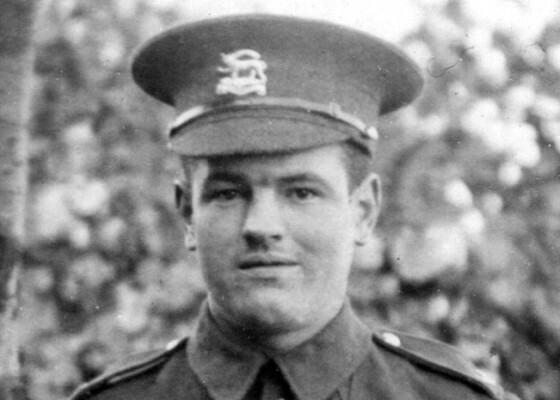 Harold was blown up and left for dead in No Man’s Land during fighting around Beaumont Hammel. After a day or two there was a sufficient lull in the fighting for stretcher bearers to be sent to rescue the wounded, and for others to identify the dead. One of these men knelt to extract the pay book from the pocket of a corpse to find the body still warm and just breathing. ‘Yelling to the stretcher bearers ‘ “Ere’s one”, he looked more closely and exclaimed, “GoodLord. 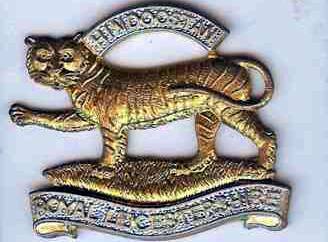 It’s ‘arold ‘allam!” ‘ Miraculously Harold had survived and was found by someone from his own regiment. Harold was rushed to the Field Ambulance Station for emergency treatment, before being transferred to a Field Hospital where his shrapnel wounds were treated. When he was strong enough he was sent back to England to convalesce, first in London and finally at North Evington War Hospital, Leicester. Civilians were kept in ignorance of the appalling conditions in the trenches. In those days news was easier to control. ‘In Bottesford a town crier with his bell and loud alerting call of “Oh Yez, Oh Yez,” relayed vital information around the village, always finishing off with the formula “God Save Our King and Country”. This page was added on 10/11/2008. The history of the first world war is one of my interests in life and in particular trying to find details of the men who served. So here goes. 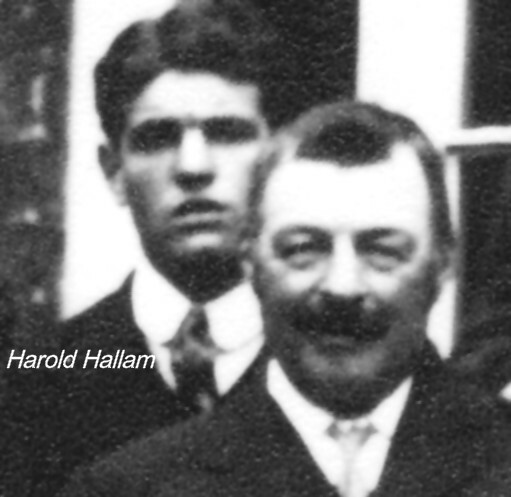 (1) Harold Hallam joined up as Private 25921 in the Leicester Regiment. 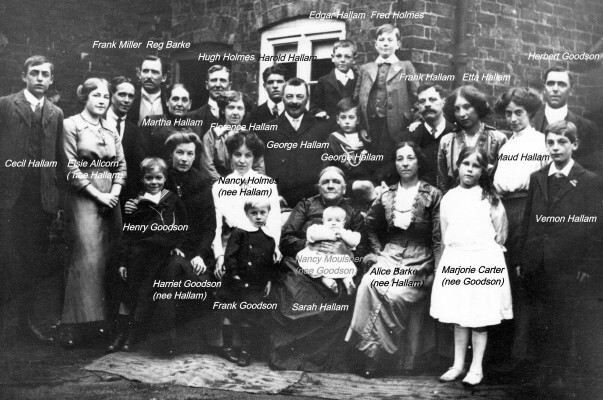 The photo shows him in the Leicesters circa 1914. You can tell by the fact that he is wearing puttees that the photo is 1914. He was transferred to the Devon Regiment as Private 30144 (not 301444). His Medal Index Card shows that he was awarded the Victory Medal, The British Medal and the Silver War Badge. Is this trio with his family today? 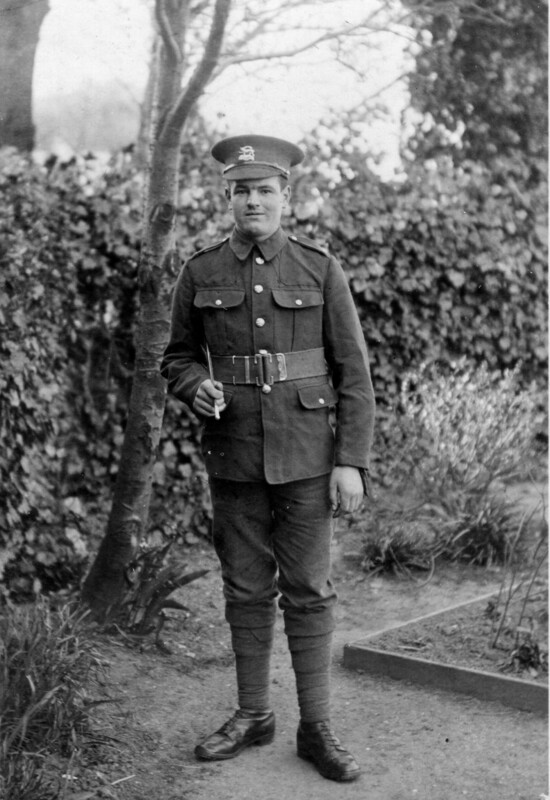 (2) Montagu John Vincent Jackson a Lieutenant in the 11th Battalion the Notts and Derby Regiment was awarded The British, Victory and 1914-15 Star. According to his MIC he went to France on 31/8/1915 and was killed in action on 5/2/1916. Not 1917 as the article relates. Often these searches pose more questions than answers and in Jackson’s case his MIC exists and yet he does not appear to appear on the Commonwealth War Graves Register. I will do some more delving! Click on his name and that goes through to his listing.